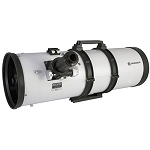 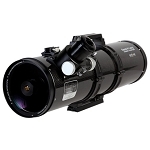 Generous 130mm aperture showcases galaxies, nebulae and star clusters with its impressive light-gathering capability. 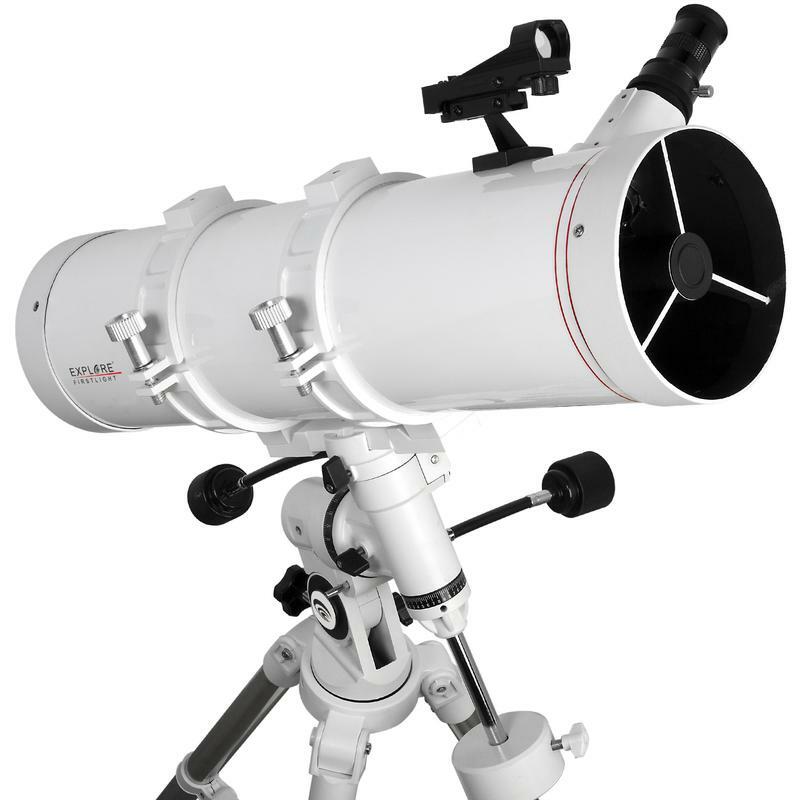 Fast focal ratio (f/4.6) shortens exposure times for deep sky photography. 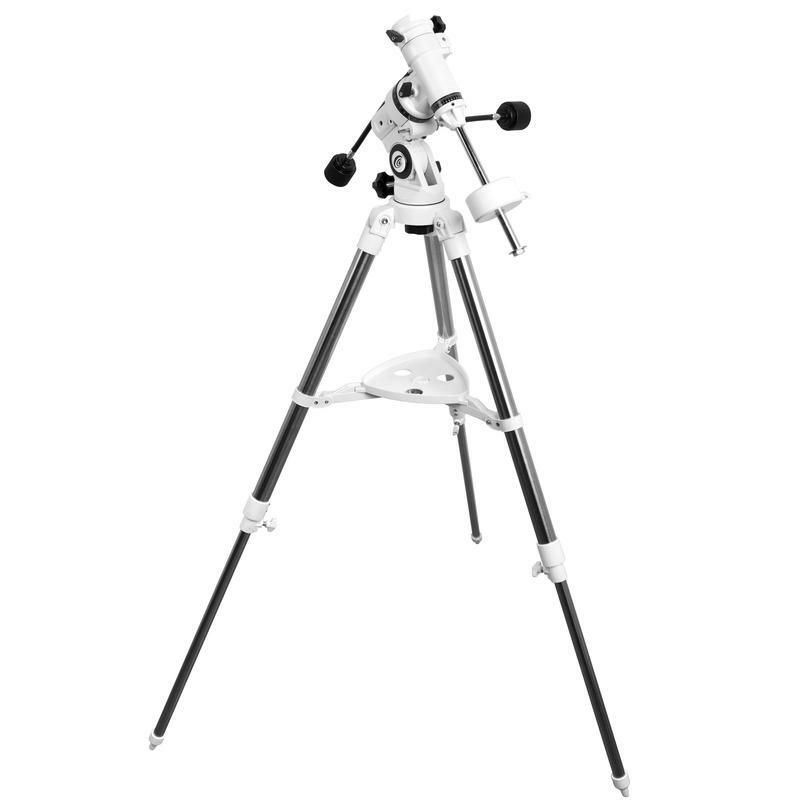 Mounts vary from a simple fork-mounted alt-azimuth option to a complete GOTO tracking system. 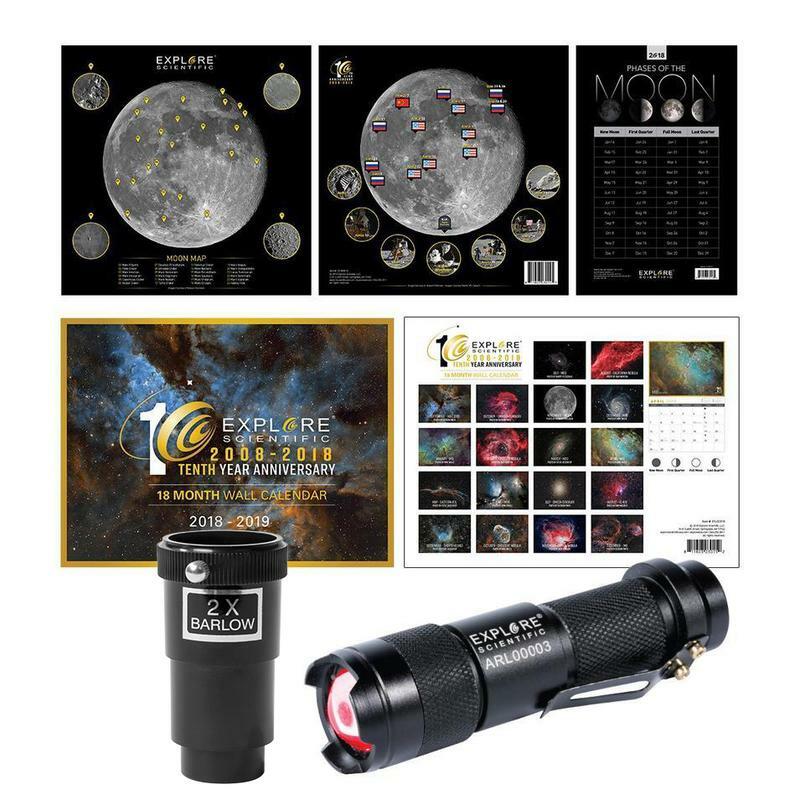 As an added benefit, each package includes an adapter that allows you to use your smartphone to easily capture and share the beauty unfolding in your eyepiece. 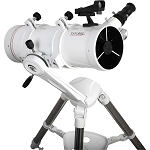 With Firstlight„¢, the only thing you need to provide is a desire to discover. 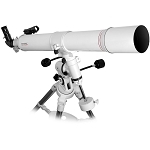 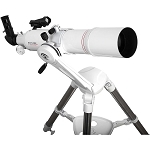 FirstLight N130mm White Tube Newtonian with 600mm focal length f/4.6 telescope with EXOS Nano EQ3 German Equatorial mount; 40mm draw tube focuser; Plossl 25mm eyepiece; and Red-dot Finder; Smartphone Camera adapter. 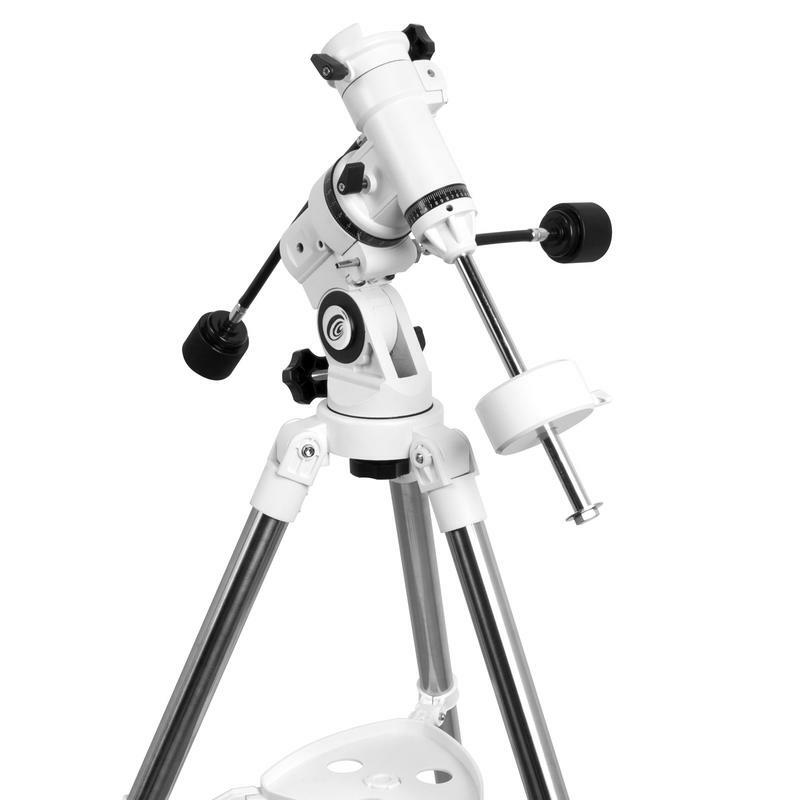 Adjustment range with head: 38.5-55.5"
Fully collapsed with head: 42"
Fully collapsed without head: 29.5"